Romeo Okwara insists that his life has not changed much in the past week. He got a few more texts from folks back home, but that’s about it. 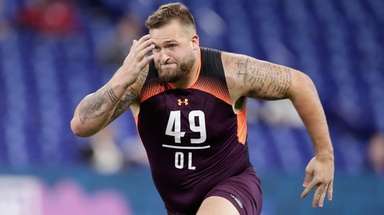 Going from anonymous undrafted rookie to starting defensive end for the Giants in a matter of days, it turns out, is no big deal. Getting his first career sack on a nationally broadcast Sunday night game didn’t move the needle either. “It’s pretty much the same,” Okwara said. How he is seen by the Giants, though, is far different from the way it was when Jason Pierre-Paul had surgery last Wednesday and the unproven Okwara was thrust into the job. At that point, the Giants hoped Okwara would be able to help replace JPP. Now they’re counting on him to continue doing so. Okwara was the first rookie free agent defensive lineman to start a game for the Giants since Damane Duckett in 2005. He led the defense with eight tackles, including his first career sack, and batted down a pass. Okwara became the first Giant to record a sack in his first career start since Pierre-Paul and Dave Tollefson both did it on Sept. 11, 2011, at Washington. 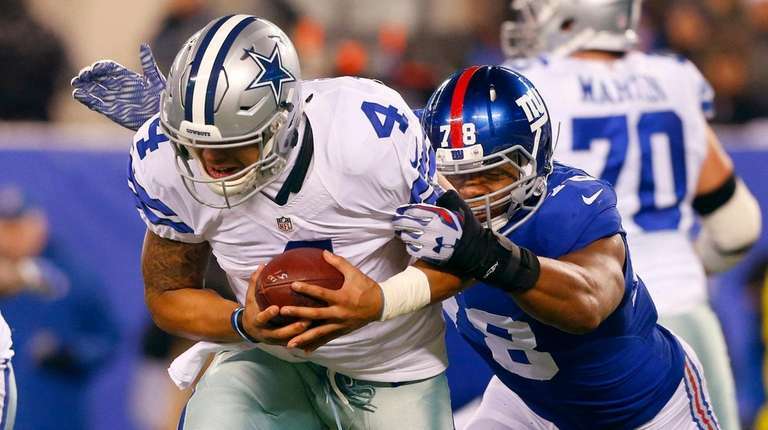 The last Giant with a sack in each of his first two starts was Mathias Kiwanuka in 2006. Okwara will have a chance to match that on Sunday against the Lions. He’s also settling into his new role quite easily, it seems. He’s still baffled over why he was not drafted, he said, and still believes he should have been. But he also recognizes that it’s more important to be a starter in December than a draft pick in April.